On Saturday, the boys had Holiday Book Fair at Barnes and Noble. A portion of the sales generated December 1st through 5th (today) are donated to the boys’ school library fund. While at the book fair, I captured Joe and his friend taking a break to read a little. This picture was not staged, though Joe did raise his book a little higher in an attempt to block his face. Before we left the store for the day, I purchased the book “The Lightning Thief” by Rick Riordan. The boys and I are reading it at night, just before bed, and we are enjoying it. If you need to purchase a book or book-related item for yourself or someone else, please consider making the purchase through Barnes and Noble today, December 5th. If you use code #10925782 when you check-out, a portion of your purchase will be donated to Joe’s school. Thank you! What you will find here is a list of books and authors recommended by well-read friends and bloggers. Recently, while playing hookey from church, I watched my favorite Sunday television program, “CBS Sunday Morning”. Watching CBS Sunday Morning is a ritual I have enjoyed since I was a kid. Truth be told, I wish I could skip church every Sunday, if only to watch my favorite Sunday morning program. One reason I love the program so much is due to my memories of sitting with my Dad (who also looked for reasons to skip church) and watching the show together. 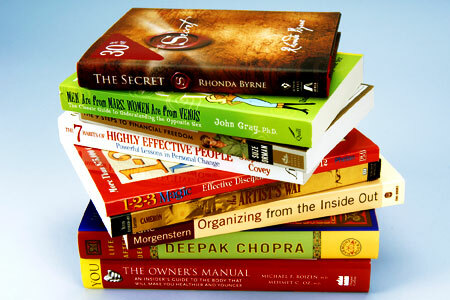 How many self-help books do you own? Need a minute to go count the collection you’ve created over the years? Or, have you passed your books along to others? Lately, I seem drawn to book after book, promising me a better life. Please, don’t misunderstand me, I love my life. Still, with so many books within reach touting a better life – well, color me interested. I think I am still coming off the “Eat, Pray, Love” thing. I never read the book. (Why does admitting to not having read the book take me back to my high school days and Cliff Notes?) I did – you knew this was coming – see the movie. And, though the movie wasn’t great, I find myself thinking about the messages portrayed in the movie. I have been accessing my library’s website daily, to see if a copy of the book is available. Hang on, I’ll check now . . . ARGH! Still unavailable. Self-help books are destroying me. My over-analytical ways are only encouraged by the countless books out there claiming to help me. Who says I need help, anyway? Hush. I heard that. “I’ll have to try that.” I hear myself say that statement time and time again, during conversations with friends and family. We are always offering our advice about this or that; assuming how we were helped will fit nicely and neatly in another person’s life. Though really, we’re all different. Though written words and another person’s experience may inspire, I find more insight and inspiration by doing the most simple tasks. For example, when I am making and packing my son’s lunch for school, I find a peace making his peanut butter and jelly sandwich. Sometimes, I get lost in the spreading of jelly across the peanut butter, attempting to cover the peanut butter perfectly, while creating an artful spread of jelly. I find self-help in the calming (and yummy) scent of freshly made cinnamon toast. I find self-help in looking out my living room window and catching a glimpse of a deer running through the yard. I find self-help in sitting down with Joe, mesmerized while he reads to me from the books he brings home from school. To me, self-help is easily attainable when you grab hold of the good moments in life. 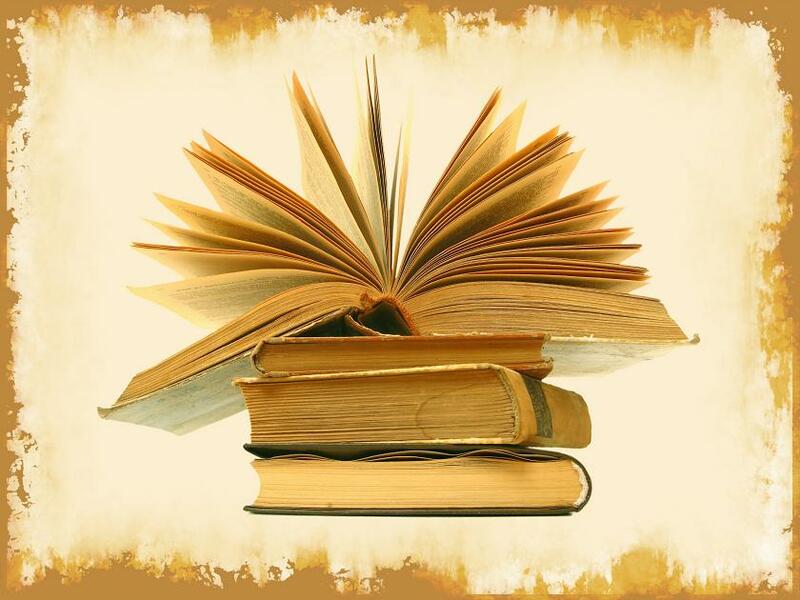 And, when the bad moments hit, well – perhaps that is when the books are helpful. The books give us something to read through, escaping our momentary feeling of madness, until the dust settles and we see the good again. Perhaps we’re not looking for answers in the book, as much as we are looking for a diversion. I’m not in a state of madness at the moment. Although, if you know me, you know this could change at any second. Still, as I continue to wait for a copy of “Eat, Pray, Love”, I find myself becoming obsessed with the countless self-help books being released daily. With so much help available, I may need to find a self-help book on how to learn to need more help. And, to make non-significant matters worse, next week begins the last season of Oprah. ACK! Oprah’s last season! I wonder how many books will be released helping folks deal with Oprah’s final show: “Oprah: How to Live After the Show Ends”. Hmm . . . Anyway, I’ll continue to check the status of “Eat, Pray, Love’ at my the library; and, in the meantime, I’m willing to bet I could find a self-help book to help me deal with my obsession of self-help books.